Merry Christmas Eve Eve, I wanted to take a minute in between wrapping and cooking to finish posting my last 3 favorite Christmas Cards of this year. 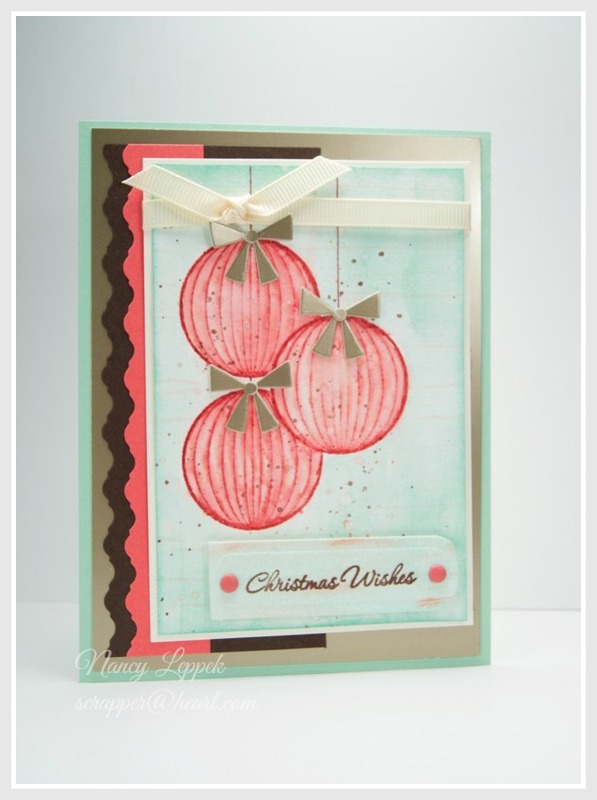 I again used one of my all time favorite Verve Stamp sets called Ornamental Christmas. The bows are a die from Paper Smooches and the sparkly silver paper is from Stampin Up. I watercolored the background on all of them along with the ornaments themselves and finished them off with a bit of the splatter technique. I also made some gold flecks with some Stickles. I thought it might be fun to make a non-traditional Christmas card. I wish you all a very Merry Christmas and thanks for being such a big part of my life! 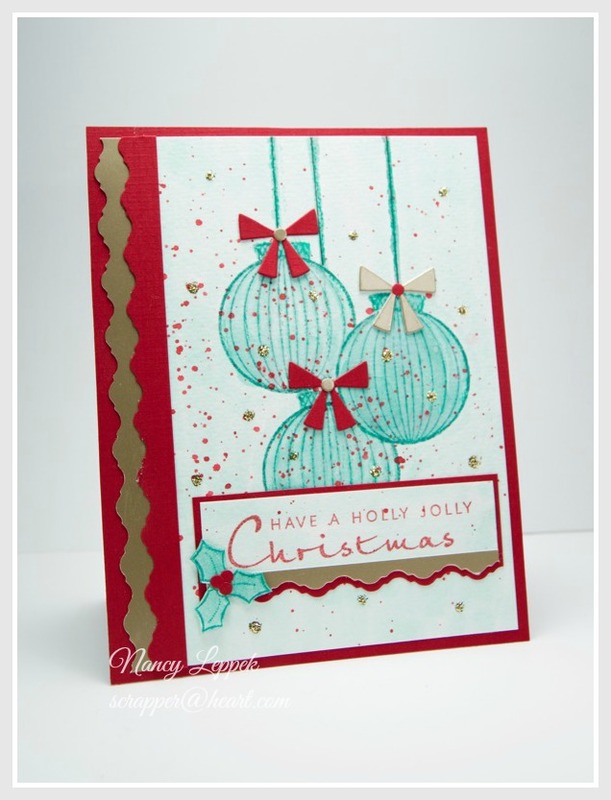 Categories: Cards | Tags: Card making, Cards, Christmas cards, rubber stamps, stamping, Verve Stamps, watercoloring | Permalink. These are all so lovely, Nancy. I love those fancy borders. Have a very Merry Christmas. These pictures don’t do the cards justice! I know, I have the purple one. It is so much more. What wonderful designs and all in such pretty colors too. Merry Christmas to you too! Beautiful cards. Love the colors and the pretty ornaments. Gorgeous cards! The splatters are such a fabulous look! Merry Christmas to you! Nancy, these are so beautiful. Love them all. Hope you had a wonderful Christmas. Gorgeous cards with that set…and they are all on sale now too!! I am partial to the last one because that is the one sitting next to me IRL!! I see you are enjoying summer like weather right now…lucky you!! we may even get more snow next weekend…however, I will believe it when I see it!! Happy New Year Nancy!! And thanks for playing along again at Merry Monday! Beautiful cards, Nancy! You were on a roll with that set. Love the non-traditional colors.